There is no city in the world that is more iconic and unique than Venice. It is truly a photographer’s paradise with stunning images to be captured at every twist and turn. January is a great time to visit, with fewer crowds, long sunrises and sunsets and the possibility of mist and aqua alta all helping to create wonderful atmospheric images. Staying in a beautiful four star hotel very close to St Mark’s Square we will travel around the city on foot and by water bus starting early each morning before returning to the hotel for a break and breakfast. We then set off to discover the real Venice away from the crowds, wandering down the side streets and canals recording this unforgettable experience. A gorgeous sunset doesn’t mean our day ends there, as we will then enjoy the delicious Italian food and wine in some wonderful restaurants. Our time together will include individual and group discussions, inspiring ideas and great fun. 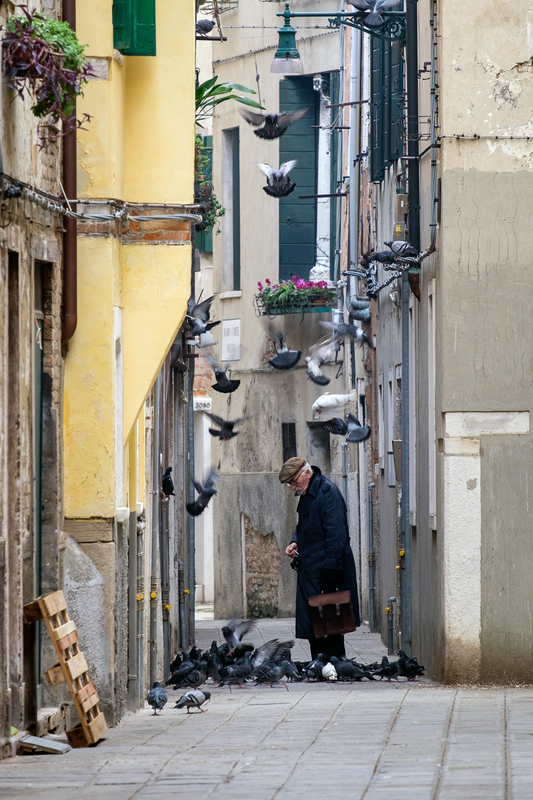 There really is no better location to express your creativity than the breath-taking city of Venice. Join me for a fabulous five days photographing one of the most beautiful cities in the world. In order for me to be able to give all participants individual help and tuition this workshop is limited to a maximum of 6 people, so book early! Whilst elevation changes are limited to steps and bridges and we will be using the water bus to move around, there is a lot of walking on this tour. We will be out each day for sunrise, come back to the hotel for breakfast to recharge and then out again for the rest of the day in order to make the most of the light. 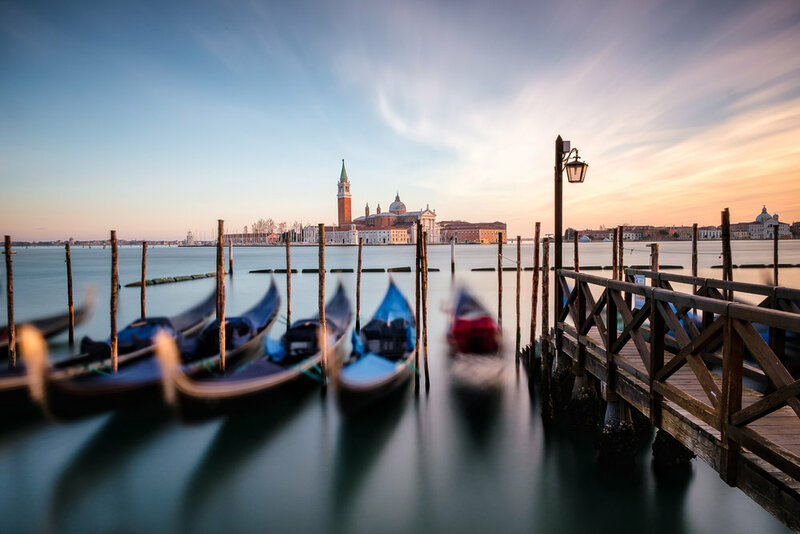 There is a Ryanair flight from East Midlands Airport to Venice (Treviso) on 21st January returning on 25th January, however you may choose to fly from a more convenient airport if you wish.